Buttermilk is a popular dairy product around the world. It is produced by introducing lactic acid to the whole milk, which in results in the production of bacteria. It has various benefits such as it contains calcium, potassium and phosphorous. However, the shelf-life of the buttermilk is usually influenced by the ways it is stored. The processing method, its carton date and exposure to the daylight or heat defines its durability. Mostly, people are concerned that how long does buttermilk last? So, it lasts when properly processed and stored below the temperature of 40°F. if in case, the carton is open and not consumed within the 3 days of the span, then it may release watery substance on top and rest high volume butter sediments’ on the bottom of the container leaving a fermented taste. According to the Wikipedia, buttermilk is a very healthy drink which all age group should consume to have healthy digestive system. Does Buttermilk Go Bad? How Long Does Buttermilk Last? How Long Does Buttermilk Last in the Fridge? How to Tell if the Buttermilk Has Gone Bad? How to Store Buttermilk Properly? We had a misconception before reading the literature about buttermilk, that it is a buttery texture high-fat milk product. But, actually, it is a low-fat sour milk product which is extracted from the butter or whole milk i.e. the fermented part of the milk cream. According to TheSpruce, buttermilk is a dairy product that is a very old-fashioned homemade milk content that is slightly sour in taste but enriched with versatile benefits. It is a residual liquid which is extracted after the whole milk cream is churned up to a certain level that cream becomes white butter and its milk is separated in the container. Either you can collect full cream from the top of the milk bowl every day and refrigerate it, or else you keep the cream that is visibly thicker on the top of the milk bowl overnight. Let it ferment for a night and in the morning you will see after churning that milk is separated from the buttery texture. This is the buttermilk which you can drink early morning including a pinch of white or black salt. Nowadays, buttermilk is used to make various biscuits, cookies and fried chicken buttermilk pancakes etc. Yes, buttermilk goes bad when it is not stored properly in the refrigerator or kept below 40 degrees Fahrenheit. We are more concerned about the buttermilk when we are using it in cooking. Buttermilk can last up to 2 weeks after opening if it is kept in the freezer in an airtight container. You must leave a space in the container for air so that the buttermilk could stabilize the temperature easily. Condition 1- if the buttermilk is extracted at home through the natural churning process then the quality of buttermilk is pure enough and could not be stored openly for a long period. In this condition, you cannot store the residual liquid for more than 24 hours. This condition prevails because no preservatives of pasteurized compounds are added to maintain the quality of the buttermilk at home. Condition 2- when we use commercially made buttermilk that is packed in tetra pack, then we have the option to store for several days in the refrigerator. A commercial buttermilk packing is also stored for 6 months if unopened. After opening for drinking or cooking use, then it should be refrigerated at a cool level for next 3 days. There are some signs indicate whether the buttermilk has gone bad or not. It is normal to see the water and some milk substance to sediment, but if the consistency of the buttermilk doesn’t come to its natural state after shaking properly, then it should be discarded. Always check the lip of the carton which you opened recently for mold formation. By the way, buttermilk is a spoiled product already. So, you may not be able to figure out by tasting its ferment taste. It is better to check the container inside and its opening for molds. If any suspicious mold formation found then discard immediately. Depending upon the storage method, a buttermilk carton can last in a fridge for at least a month and could last for 1 or 2 weeks if opened. In case you want to elevate the shelf life of the buttermilk in the fridge, then you should thaw the carton and then freeze it for maximum 3 months. However, the quality of the buttermilk may deprive a little than the fresh one after freezing. Commonly, homemade buttermilk should be kept in the fridge only for 2 or 3 days. It should be kept in an airtight container so that air could not pass it and bacteria formation can refrain. There are no artificial preservatives added in the homemade buttermilk because of which natural lactic acid may accumulate the formation of bacteria in speed. According to EatByDate, buttermilk which is found watery and consistency of the butter is not smooth or thick as it was when opened for the first time, then it may be spoiled in the fridge and should be discarded immediately because a spoiled buttermilk may lead to a stomach infection. A week after refrigeration, you should take a sip of the buttermilk. Before that, transfer the content into a transparent glass to see the color of the buttermilk. If it is still slightly creamy and off-white in color then take a sip. 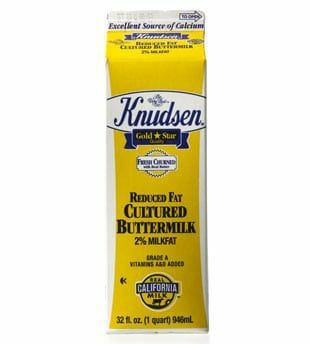 If the color of the buttermilk turns pale yellow and water that has come up is not mixing with the buttery content, then you must discard. Buttermilk is sure in taste already and has an acidic reaction. It is widely used in making baked food items as well as used for drinking purposes. You may find a need for the prebiotic drink that can provide refreshing energy and reliefs’ acidity. Buttermilk is the product which contains acidic sour taste and helps in digesting food properly. Moreover, when we drink empty stomach in the morning, then detoxification is done properly. When buttermilk reached a level where it has pungent color and smells awful, then it is considered gone bad. Opened buttermilk that is gone bad will form cottage cheese like chunks and water comes up in the container leaving the residue at the bottom. Buttermilk with yellowish content and grey mold formation on top show the spoiled state. It is completely gone bad as it has come in contact with oxygen at room temperature for a long time. When sourness of the buttermilk turns extremely bitter and acidic in combination, then it is a sign that it was either spoiled by heat or its expiry date crossed. Many times, it is not possible to tell whether the quality of buttermilk is the same or has destituted. Some have no clue that extreme sour taste is not considered safe and drink without thinking. Avid drinking buttermilk which has unusual consistency and smells like stale potato or food. Even it should not be used for cooking if water and smooth buttery content do not mix well on shaking again. Without tasting a small portion you cannot justify the quality of the buttermilk which was kept in the fridge for a longer period of time. According to TheSpruce, buttermilk is a leftover liquid that is extracted from the process of making butter. The milk is sour in taste and has acidic contents. Lactic acid is found in buttermilk which is the reason it should be kept in the refrigerator. Hence, if you wish to drink the cultured buttermilk, then it should be kept in the fridge main counter rather placing in the door area. Where cooling maximum in the refrigerator, buttermilk container should be kept their lid closed. Within 3 days stored buttermilk should be used for drinking purpose, but for baking or cooking, you can use the refrigerated buttermilk even after 2 weeks also. You can freeze leftover buttermilk carton for up to 3 months’ time. Use an ice tray and pour buttermilk in each of them. Freeze them overnight and then transfer the cubes into an airtight freezer bag. Whenever you want to use the cube, take out some of them and let it thaw for some time. When buttermilk cubes melt and come to the room temperature, then use that liquid for cooking purposes. Do not keep the buttermilk carton lip open in the fridge. 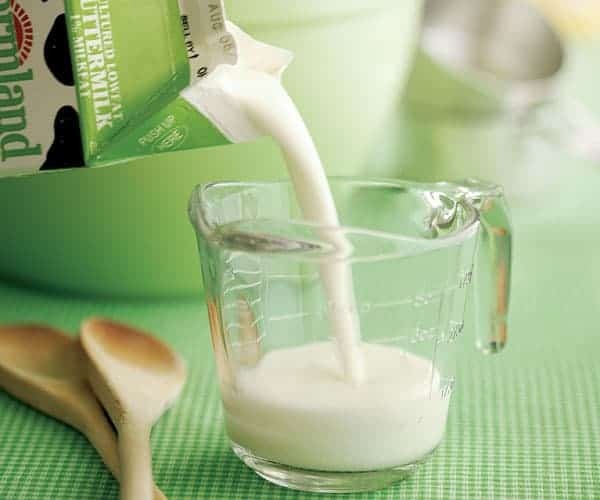 Use adhesive tape or paste a sticker so that no air comes in contact with the buttermilk for a longer period of time. Sealed buttermilk can be used for drinking up to a week span. 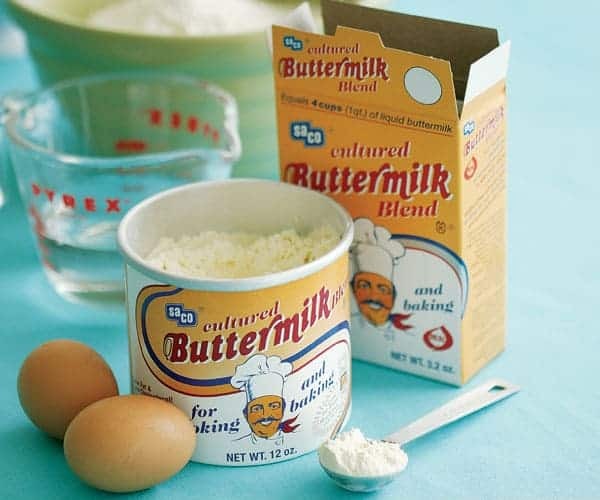 Buttermilk is a worldwide used product, but the whole container is generally not used for cooking. If you find leftover buttermilk in the fridge for more than 48 hours, then consume it immediately or else freeze in the cube form. To keep buttermilk handy for next recipe you must freeze buttermilk in a proper manner to avoid contamination. 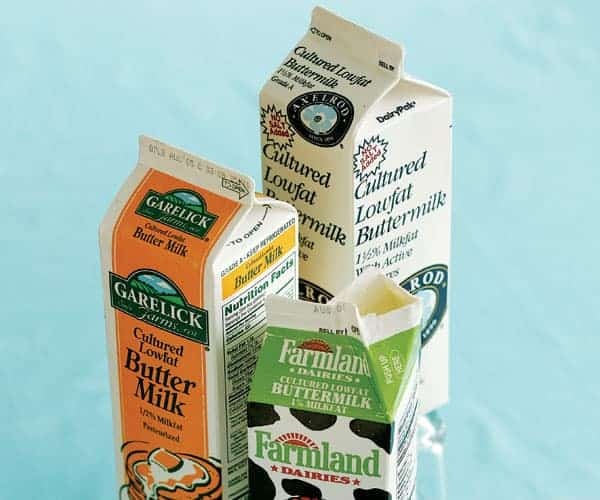 Mostly, we keep an open carton in the fridge door of the buttermilk without realizing that other content like water or smell of other food items may enter. Lactic acid absorbs the smell and later results in pungent odor.